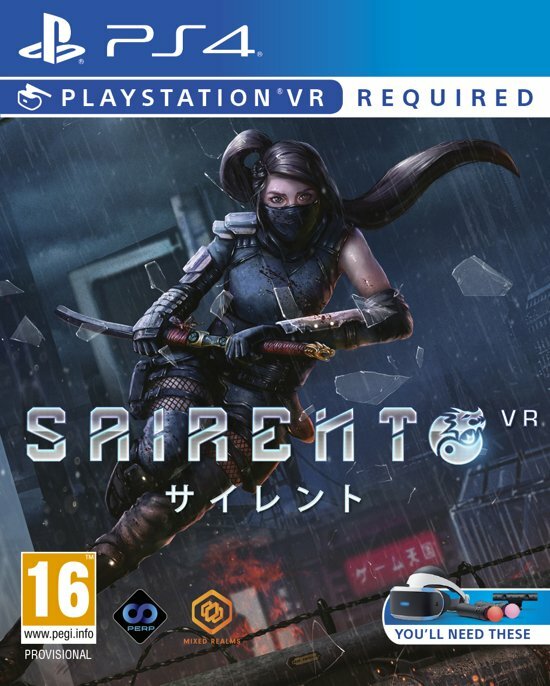 Sairento VR is a visually stunning, mission-driven, multiplayer, VR action sword fighting and gun play game built for non-stop slash and shoot action. Play alone or 2 player PVE COOP. Weapons. You not only wield a mean katana, but are also skilful with guns and projectile weapons. Acrobatics. Leap 15 feet into the air, perform triple jumps, run across walls, power slide across the floor and perform back flips. Slow time. Engage enemies using the innovative combat system, allowing you to fight in slow motion and parry incoming projectiles. Upgrade. Keep upgrading your abilities and weapons as you accumulate experience from completing missions. Insane enemies. Fight enemies ranging from mutated samurais and disappearing ninjas to creepy robot ninjas and towering sumo wrestlers. Sairento VR - is one of the best-selling and most popular VR games in the world, being in the top 10% best ever selling VR games. A staggering 857 “Very Positive” reviews on steam with a 97% Positive Rating From Fans on Steam Community and over 200 fan made videos. A tribute to action-loving fans who want to experience the iconic “bullet-time” scenes from The Matrix, blended with the slow-motion mayhem of the Max Payne game series, all while looking and feeling as badass as the Bride from Kill Bill.